Learn to navigate without any electronic instruments and only relying on the Sun, the Moon and the stars. A fascinating journey to learn the secrets of how to use a Sextant and prepare you to obtain the Yachtmaster Ocean shorebased certificate. During this course we will go through the basic concepts and notions of astronavigation: the celestial sphere, zenith, azimuth, etc. We will learn how to properly use a sextant and then turn those angle readings into an estimated position on a chart. We will also make use of the 'sight reduction tables' and different almanacs and publications. Don't be scares, we will not use trigonometry! As part of the course we will also look at some of the necessary steps in the planning of an ocean passage. Weather and ocean meteorology, great circle sailing, and overall passage planning....just on a different scale. You can book directly online by clicking the 'Add to cart' button. As we do not run this course on a regular basis, please give us a call or send us an email with your desired dates. We will then get back to you with a confirmation. 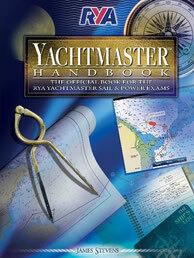 Once you book the course, we will send you the course pack (containing the RYA Yachtmaster Ocean Handbook, RYA training charts, exercises and almanac) so you can start browsing through. We will also send you the detailed joining instructions. Give us a call to know about the next available dates!